Doctors hate this guy’s trick for winding back the clock! Okay, full disclosure: I went into Prince of Persia: The Sands of Time expecting utter and absolute rubbish. Given that, I was delightfully surprised since by the end of it I had actually set down my phone and iPad to pay full attention to what was going on. In this day and age, that is nigh impossible. That’s not to say, however, that is was altogether a great movie either. Any film whose titular Persian protagonist is played by your average white American is destined for mediocrity, and this prince was played by Donnie Darko, no less. 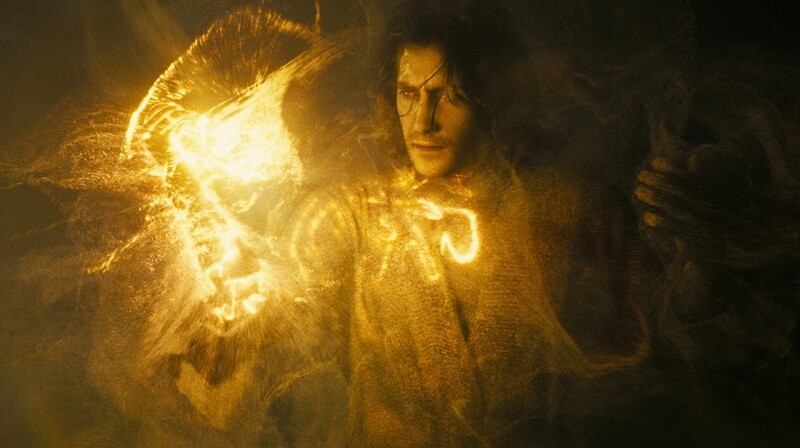 While Jake Gyllenhaal’s improvised accent wasn’t Keanu-Reeves-in-Bram-Stoker’s-Dracula bad, it certainly sounded out of place and forced, and occasionally laughable. Okay, so the time-turning sequences are actually pretty cool. The plot is fairly simple: Our Prince of Persia (who does actually have a name, but whose name is completely irrelevant and forgettable) finds a magical time-controlling dagger, which utilizes a very special sand – the Sands of Time – to reverse time. The dagger holds enough sand to reverse just a minute or two of time, which is more than enough to save a life or two under the right circumstances. However once the sand has been used up, the power is gone. If you’ve played the PlayStation 2 game of the same name, you’ll be quite familiar with the premise. While character actors Alfred Molina and Ben Kingsley succeed in entertaining, through their respective roles of bumbling sort of sidekick and bad-guy-posing-as-a-good-guy, they don’t live up to their potential proven through each of their vast and respected careers. Prince of Persia is far from their worst work, but it’s just as far from their best. Possibly the best character is Gemma Arterton’s princess (or maybe priestess?) Tamina, who’s kind of a badass who has no problem standing up to an entire army at her doorstep and throwing down in a pickle. She outwits and outclasses pretty much everyone else around her. Prince Brokeback might have been in the running, what with all of his neat-o flips and wall-scales and whatnot, but pretty much every time he did something cool his face was hidden. You know what that means – stunt double. Of course I’m sure Gemma had her action scene stand-in as well, but it seemed so much more obvious whenever Jake left the scene in favor of his back-up. Really, Prince of Persia is highly predictable. With every ally that died, it became that much more obvious that the Sands of Time were going to shift and bring everyone back and, spoiler, that’s exactly what happened. And the guy you suspect to be shady right from the beginning? Yep, he ends up being shadier than Slim. I’ve got plenty of silly complaints, such as “why was a random dude in town carrying this sacred and mystical dagger, when surely it should have been sealed off in some cave or tomb?” and “man, it certainly is lucky that everyone decides to believe the Prince when he turns back time to before all the damage was done and he suddenly and inexplicably knows things“. But when you get right down to it, Prince of Persia is a satisfying and entertaining fluff film along the lines of The Mummy, so long as you turn your brain off and don’t sweat the details. Honestly, it can get worse than Aladdin meets Assassin’s Creed. If you go in with low expectations, you might come out of this feeling pretty satisfied. < This man thought he was buying a new car; you’ll never believe what happens next!